Priddy Mineries is an area that has an austere feel to it, perhaps a remnant of the lead mines that have been here since Roman times. 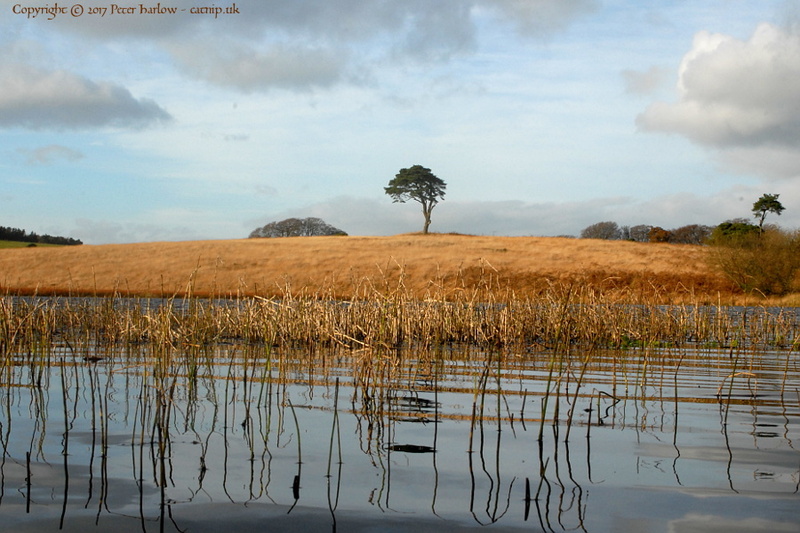 L LLooking north across the pond, past the reeds to a solitary pine tree topping a small hill. 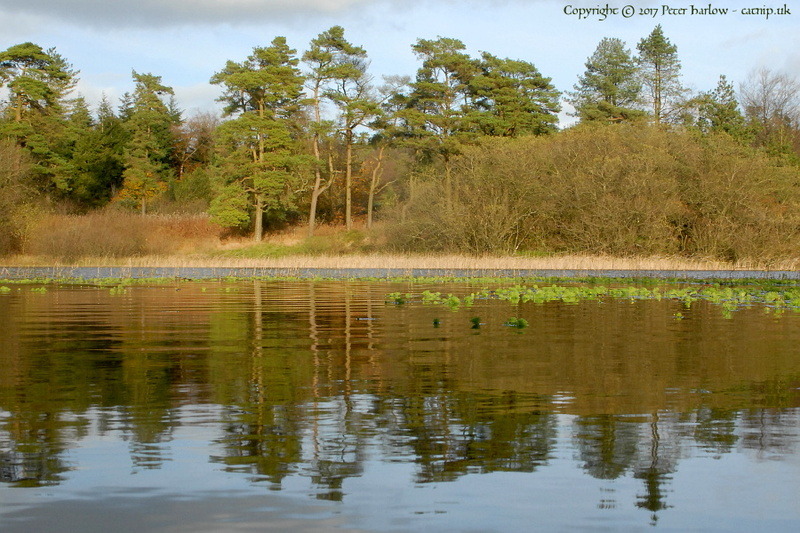 A AA slight ripple breaks up the reflection of the trees in the pond. T TThis area has an austere feel to it, perhaps a remnant of the lead mines that have been here since Roman times. 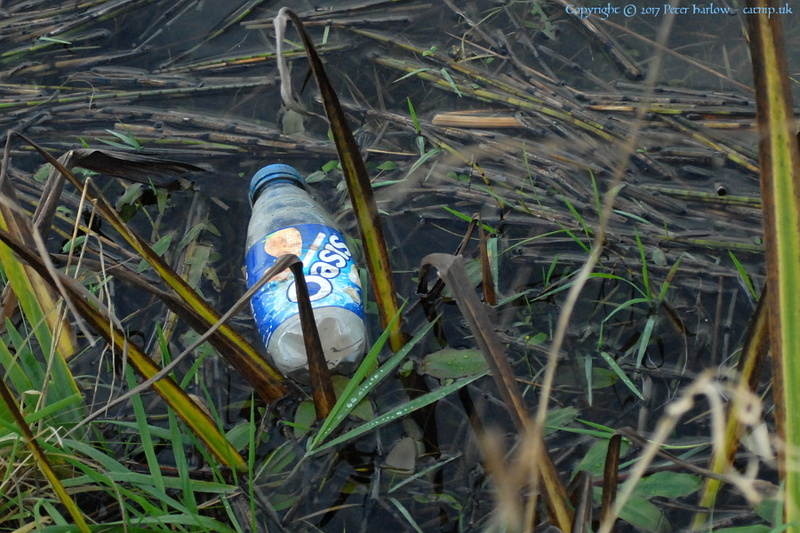 Sadly the pollution continues in the modern age, plastic bottles litter the reed bed. High time for a deposit scheme to be introduced on plastic bottles, methinks. 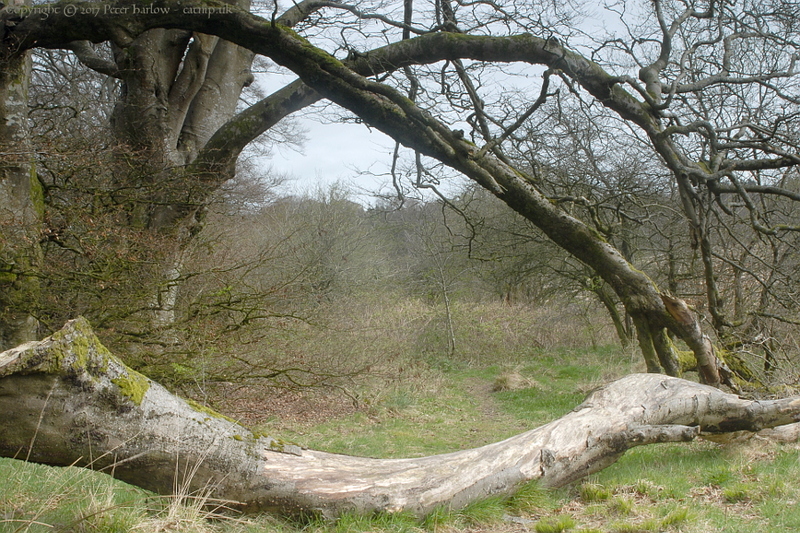 T TTree trunks form a natural sculpture to the north of the pond at Priddy Mineries.